Some of the popular plans by Airtel are priced at Rs 199, Rs 399, Rs 448 and Rs 499. The newly launched Rs 499 plan, called Infinity plan, is meant for Airtel's postpaid users. Amid high competition in the telecom industry, Bharti Airtel offers many prepaid and postpaid plans to its customers. Some of the popular plans by Airtel are priced at Rs 199, Rs 399, Rs 448 and Rs 499. While the plans at Rs 199, Rs 399 and Rs 448 are for the telecom company's prepaid customers, the newly launched Rs 499 plan, called Infinity plan, is meant for its postpaid users. 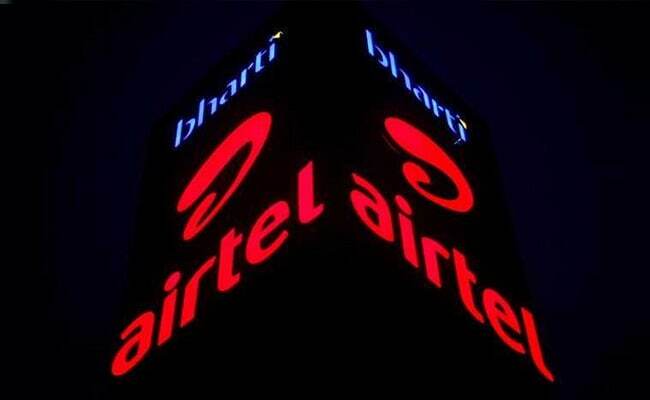 Airtel - the largest telecom operator in the market in terms of subscribers - is among the many incumbent telecom operators dealing with excessive competition ever since Reliance Jio flooded the market with aggressive pricing of high speed data, say some analysts. Airtel provides 1 GB or gigabytes of data at Rs 199 for a validity period of 28 days under this prepaid recharge pack. The Rs. 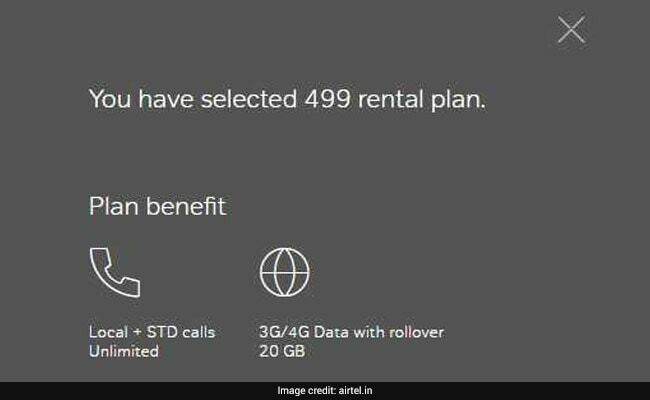 199 recharge plan from Airtel includes unlimited local and STD calls (for non-commercial use) and 100 free SMS per day, according to Airtel's website, airtel.in. 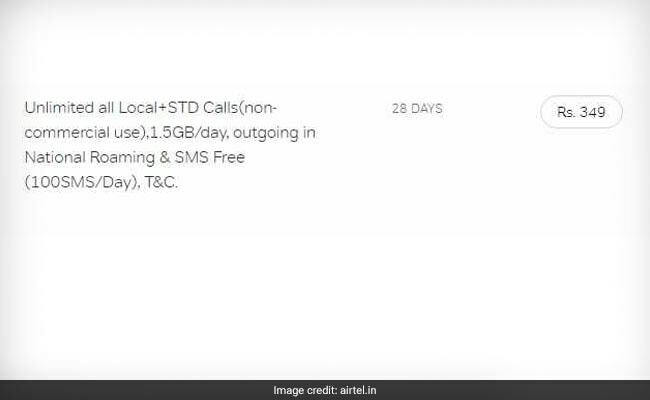 Under the prepaid recharge pack priced at Rs 349, Airtel offers unlimited local, STD and roaming calls along with 1.5 GB of data per day for a validity period of 28 days, according to its website. Airtel's Rs. 349 recharge pack includes 100 SMS per day for the entire validity period, it noted. Under the Rs 399 recharge pack, Airtel offers 1 GB of 4G speed data per day for a validity period of 35 days, the telecom company said on its website. 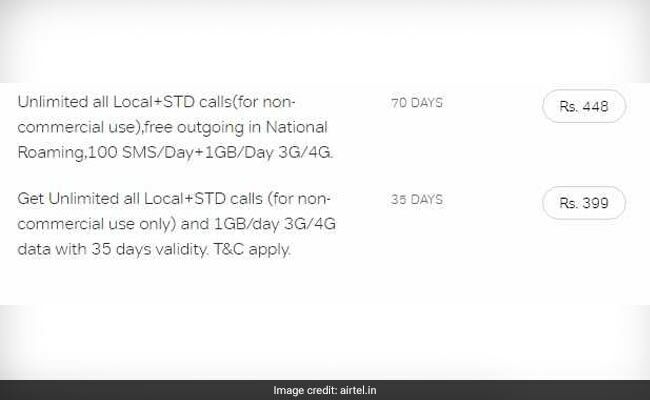 Airtel's Rs 399 recharge includes unlimited local/STD calls along with roaming on outgoing calls for a validity period of 35 days. Under its recharge pack priced at Rs. 448, Airtel offers 1 GB of data per day at 3G/4G speed for a validity period of 70 days, among other benefits, according to its website. The Rs. 448 pack includes unlimited local/STD calls and free national roaming, besides 100 SMS per day for the validity period. Airtel offers 20 GB of data at 4G/3G in the postpaid plan priced at Rs 499 per month. 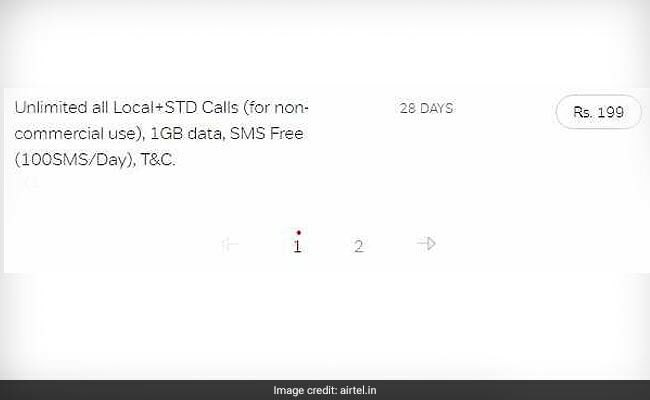 Called Infinity Postpaid, Airtel's Rs 499 monthly plan includes unlimited local/STD calls as well as outgoing calls on national roaming, among other benefits. This Airtel postpaid pack comes along with a 'data rollover' feature, according to its website. Data rollover allows customers to carry forward their unused data in a month to the next billing cycle. "Customers can accumulate up to 200 GB and check their data usage and balance through MyAirtel app," Airtel said in its press release dated November 8.